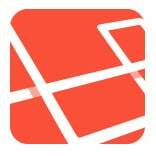 Open up server.php from the root directory of your Laravel installation. PHP knows the new public folder. There’s one more thing to do, we need Elixir to tell where to find the assets. The only thing to do now, is to rename the folder. This solution will not work when using php artisan serve. I will create an updated blog post soon. There is no base_patch() function. It is only base_path(). In spite of this issue works like a charm!